Branson, Missouri is known as the entertainment capital of the Midwest. It is a vacation destination not only during the summer but all year round. People love to go to Branson to enjoy the 49 live performance theaters, museums, championship golf courses, lakes, the award-winning theme parks, dining, shopping and walking by the boardwalk overlooking the beautiful lake Taneycomo. There is so much fun and excitement in Branson that people just keep on coming back to this beautiful place. Like on the weekend of October 16th and 17th, Hilton Branson Convention Center Hotel is having a Cooking School Weekend. For a $398 (plus tax) one-of-a-kind package for two, you will experience a weekend of cooking demonstration and wine tasting at the hotel from Friday to Saturday evening. The activities are non-stop. Upon your arrival at the hotel, you will be welcomed by a wine tasting reception followed by a cooking demonstration with Hilton’s very own Chef Nathan Read the next morning. He will teach the guests on how to prepare the appetizers that were served at the wine tasting the night before. On Saturday evening, participants will have a four course dinner with appropriate wine and likewise the guests will learn to prepare how to cook this dinner the following morning. For those who love to cook , this is your chance to learn specialty menu and what appropriate wine to serve for the coming holiday dinners. I am sure you will also enjoy Hilton Branson Convention Center Hotel’s hospitality during your entire stay. 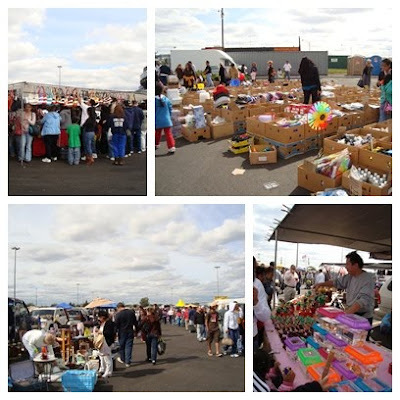 We went to this flea market at the giant's stadium last saturday. Correction, it's not inside the giant's stadium but at the parking lot. First time for us and whew! there were a lot of people. This is called "tiangge" in the Philippines. You can find anything at a flea market, new or used. We took our time since it was a beautiful day. What did we buy? I bought three beads bracelet for $2/piece. Hubby found an authentic babolat tennis bag (new) for $20 which is being sold at tennis warehouse for $54.99. I told him it is fake but since tennis runs in his bloodstream, he knows how to make kilatis if it's fake or not. Another good buy was a big bag (as big as the stripe laundry bag normally sold at laundromats) from a military store for only $10. This is the thick green military bag they use when they get deployed. We did not left the place not until our feet got tired of walking. You will not get hungry because food is all over the place. If you think you can not find something anywhere, try the flea market. Since the gas prices went up last year, my friend had a total change of his lifestyle. He bought a Honda Goldwing as an alternative to his SUV he uses everyday to work. When he has been using his SUV to work, all I hear from him are complaints about his weekly expenses for gas but now with the Goldwing, he is so happy with how much he has saved. Before he started using his new Goldwing to work, he made sure he has all the honda goldwing accessories, gears and security devices he needs. All these accessories were shipped to him by Goldwin country.com with a free t-shirt. If you are also a biker, Goldwing country.com is the store for you. We woke up today with some drizzle and a cold morning. 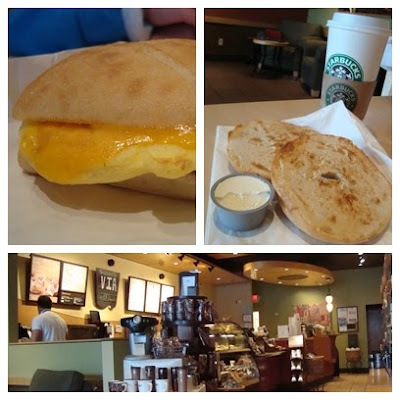 It was the best time to have a hot coffee and bagel from Starbucks. The daughter had the ham and cheese sandwich while me and hubby had our toasted bagel with cream cheese. We used to go to Panera for breakfast but since Starbucks started serving bagels, sandwiches and pastries for breakfast, we rarely go to Panera anymore. And cheaper too! I have been driving since I was 15 years old or even younger. I have driven a lot of cars but none of them is made of plastic. To me, when you say plastic cars, you are talking about toy cars that our kids love. But what can you say that is it nor impossible if we will be seeing or diving Plastic Cars in the near future? There is a senior thesis project made by students from Center for Creative College where they made concept cars utilizing plastics for exterior and interior designs. This study was sponsored by the Plastics Division of the American Chemistry Council in conjunction with the SPE Automotive Division. The final design for their concept cars was done December of 2004. If you may ask, why plastic? During the presentation of the concept cars, the students said that plastics are more durable, lightweight, can be cleaned easily, has refined toughness, stylish and more importantly are the environmental benefits. There are more information provided to you about these cars of the future at their website plastics-car.org. If you have no idea how plastics can be used to make cars, you have to watch this video called “Cars of Tomorrow” made by the Center for Creative College students. I can’t wait to see this movie. No way can I go to a cinema here in the U.S. Meron ba dito sa jersey anyway? And also, my husband has announced his intention of not coming with me if I go anyway, so I guess I just have to wait for the DVD. I have a lot of lovely gay friends and I think I can pretty much relate to their lives. The story revolves around Mark (Luis Manzano) and Noel (John Lloyd Cruz), a gay couple who lives in New York. Mark’s mom, Shirley (Vilma Santos) came from Philippines, lived with her gay son (Mark) and his partner, an illegal immigrant. If Mark is at work, it is Noel that takes care of his mom, touring her around NY. Let us see how the lives of these three people would bring us to laughter and tears. Tip: bring a tissue when you go watch this movie. This is also vilma’s comeback after a long absence from making movies. I brought to work my mails that I have not opened for days. At my lunch break, I will try to sort out the bills, financial statements and junk mails. I rarely open my financial statements anymore because sometimes I get depressed knowing that your money is going nowhere. How I wish I earn a Stable Interest but for the past months, I do not see that trend anymore. To recover from the losses, I am looking for an online business opportunity that is suitable for me as a working mom. Maybe, I can try the bankwire deposit opportunity at stapleinterest.com. But first, I really have to know how it works. It looks promising; imagine earning up to 500% income in 200 days! Hey, however it is, as long as it works. That’s all that matters. 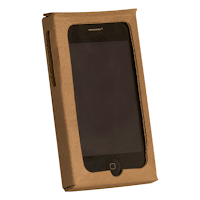 I know you already spent too much ($$$) on your iPhone 3G/3Gs, you may now think of something to offset that expense? Do you still have enough funds to buy a case for your iPhone? Why not consider a unique recession case instead so that you still have money left in your pocket? This is the recession case I am referring to. During this bad economy, we have to be wise with our spending especially after you splurge yourself with an iPhone. 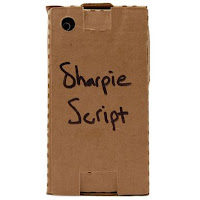 You can buy this at case-mate.com for .99 cents with free “sharpie script” personalization on the case or you can get the Bailout bundle (10 pcs.) for $7.99. They offer free shipping also. If you are wondering on how the recession case works, just go to the website and you will see an animated video/demo. Hubby has in iPhone, he will be delighted to have one of this! I am sure the products questions and answers will be helpful to you. Go check/buy it now here. Hurry, they go fast. 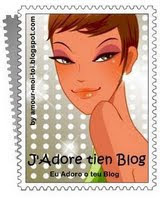 I thank beth for this award called J'Adore tien Blog. I'm not familiar what it really means at first but i tried to google it. I'm flattered when i learned that it means I love your blog in french. Please feel free to grab this award. I love all your blogs. You can name as many friends that you can pass this award to. Are you suffering from a certain type of addiction? Do you feel you have nobody to turn to or nobody seems to understand you? It is quite hard to accept things as they are when you are still in denial to others. Sometimes the recovery period is difficult because you have nobody to support you. From now on, you have a place that you can run into, with people that can understand you and help you recover from any type of addiction. I am talking about InTheRooms, one of the top recovery sites you can find online. If you want to be anonymous in your treatment or recovery, in the rooms will provide you the kind of privacy you wanted. You can reach out to anybody around the so that you can share your problems, stories, support, hope or seek their advice. In the rooms is here to help, provide information and resources so that you can have the treatment you need. They are here to help not only those who are suffering from addiction but also those who are in recovery or a friend or family member of persons seeking recovery. In celebration of the National Recovery Month this September, have time to visit intherooms.com and check what it can do better for you or a friend or a loved one. Check what this global recovery community has in store for you. Join it now for free. We were craving for some Mexican food so we went to Baja fresh last Monday. My favorite at Baja Fresh is their fish taco but for that day I tried the taco trio. The trio consists of three tacos: 1 grilled shrimp, 1 mahi-mahi and 1 crispy mahi-mahi with yellow rice and a choice of black or red beans. My hubby got an order of chicken nachos. This is something new at Baja fresh. This big soda says for additional 99 cents you get a free refill for life. Refill Forever? Does it mean, for as long as you live, you can come back and get a free refill? I should have known. This could be the best deal in town. This is the line outside the Coach Factory Store last Labor Day weekend. I took this picture while we were the Atlantic City Outlet Mall. We were at a restaurant next door when I took this shot. I asked hubby if we could go inside, he said, "Ikaw nalang!" lol. The line moves every 10 minutes so probably it would take you around 30 minutes of waiting before you can get in. The weather was nice making ths customers stay with no complaints at all. At this Nike Store, there was no line but some of the merchandise are already displayed outside the store. This is the chance to take advantage of the super bargain for summer clothes. Time to stock up for those balikbayan boxes. We were at the 2009 U.S. Open for two days. We have been doing this for many years now. If you love tennis, you gotta go to the U.S. open or to any tennis tournaments if they are in your area. The Open started August 31 and it will last until Sept 13 at the Billie Jean Tennis Center in Queens, New York. This is at the opening day. A grounds shot where you see people on their way to the grounds. As you enter, you will see the big Arthur Ashe Stadium where all the top players play. This another stadium - the Louis Armstrong stadium. Photo taken during James Blake match. Connected to Louis Armstrong is the Grandstand. Other than the 3 big courts, there around twenty grounds courts. The advantage of being there on the first day is that you still see top players playing at the ground courts. During the first round, mostly all the courts have matches, so it's up to you to pick on which matches you want to go. This photo was taken as the players enters a ground court for a match. You have a closer look with the players and most of them are willing to have their pictures taken. You have more chances of having an autograph of your favorite tennis player. If you get hungry, a lot of food kiosk at the grounds and grandstand. It's your choicer - they burgers, delis, indian food, sushi, chicken and fries, ice cream, mexican food, salads and a lot more. Souvenier shops, bars, concerts or a place to hang around and watch the games on the big screens are all over the area. It is all fun, fun while at the Open. Day session starts at 11:00 am while night session starts at 5pm. We will surely ba back again next year. Is it time for you to replace your old car? Before going anywhere looking for a car, visit buyyourcar.co.uk and check their large inventory of new and used cars. Buyers are provided all information before and after you buy a car. Cars are not only bought at buyyourcar.co.uk but they also provide car and van leasing, car loans and insurance as well as car reviews. If you are selling your car, you can also advertise your car right at their website. Give them a visit today at buyyourcar.co.uk before heading to any dealership and start your car shopping right away.